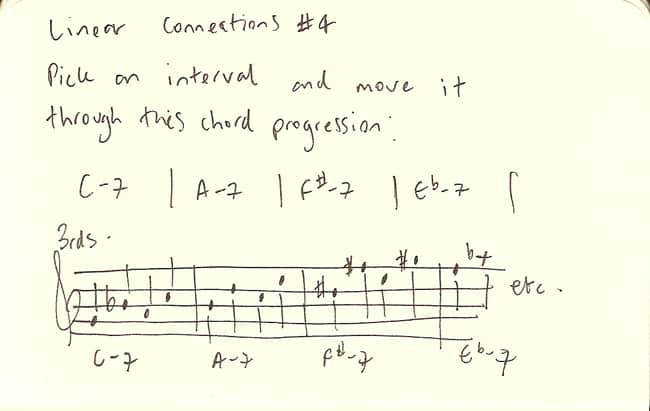 This time you’re applying an interval to this chord progression and moving it through the scales. Maybe do this in a zone, or do it harmonically up and down two strings. Go from the bottom to the top of the neck.